Jazz was one of the last major genres of music to embrace the synthesizer. What made it possible for synthesizers to finally thrive in jazz was portabilitythe availability of lightweight and easily transportable performance instruments. The Minimoog was one of the first and certainly most famous one of these. R. A. Moog and Co. introduced the Minimoog in early 1970 after two years of product design and prototyping. This would become the first synthesizer that many jazz and rock players adopted for their live performances. But it took some months before sales of the Minimoog took off, peaking by the middle of 1971. One of the first musicians to adopt the Minimoog happened to be jazz great Sun Ra (born Herman Poole Blount, 1914-93). The story behind this is an interesting one that began with a visit to Bob Moogs plant in the fall of 1969. While several individual jazz artists of the early 1960sincluding Roland Kirk, Bob James, and Gil Melle–began to combine their jazz music with taped electronic sounds, Sun Ra was pushing the envelope in the live performance of electronically-enhanced jazz. Sun Ra had been experimenting with free jazz since the late 1950s and by the early Sixties had augmented his sound with a variety of electronic keyboards including the electric piano, electric Celeste, Hammond organ, and the Clavioline. The Clavioline was a specialized monophonic organ with vacuum tube oscillators and frequency modifiers designed primarily for novelty effects (it was used for the signature space sounds of the hit song Telstar by the Tornados and on the Beatles Baby Youre a Rich Man). In 1969, a year before the introduction of the Minimoog, Sun Ra became familiar with Bob Moogs modular studio synthesizer. He was given a demonstration in New York by Gershon Kingsley. [i] Sun Ra first met Robert Moog after Downbeat journalist and Sun Ra acquaintance Tam Fiofori arranged for a visit to Moogs factory in Trumansburg in the Fall of 1969. [ii] This was most likely October. Bob and his crew were testing prototypes of the Minimoog at that time, inviting Sun Ra to explore its sounds. A recording of this test session was made and, although not originally intended for commercial release, partly released many years later in 1992 as the Moog Experiment (My Brother the Wind, Vol. 2, CD tracks 7-11, Evidence Records.) But more significantly, it was during this visit that Moog loaned Sun Ra a prototype Minimoog (Model B), several months before the commercial instrument (Model D) was introduced in March 1970. Ra immediately added the instrument to his repertoire of keyboards, later acquired a second, and featured the Minimoog prominently on many of his recordings of the early 1970s. Sun Ra sometimes played two Minimoogs at the same time to achieve a duophonic synthesizer sound. What is perhaps most interesting about this encounter is that the Minimoog was still an untested ideaat least in the mind of Bob Moog. The development of a portable synthesizer was a risk for his small company. But Sun Ras enthusiasm was one of the first indications that a veteran live performer found promise in the new instrument. Giving a prototype to Sun Ra paid off immediately not only in the buzz surrounding Ras performances but as a kind of field test to see how the instrument would hold up on the road. The rest is history because by the end of 1970 the Minimoog was in great demand. Identifying the chronology of Sun Ras initial recordings with the Minimoog is difficult. He was accustomed to privately pressing small numbers of his records and distributing them personally at concerts and local music stores (e.g., Third Street Jazz in Philadelphia). The contents of many of these albums often varied from pressing to pressing as Sun Ra often switched-out old takes for alternative takes and combined recordings made over several years onto a new release. Space Probe is a case in point. 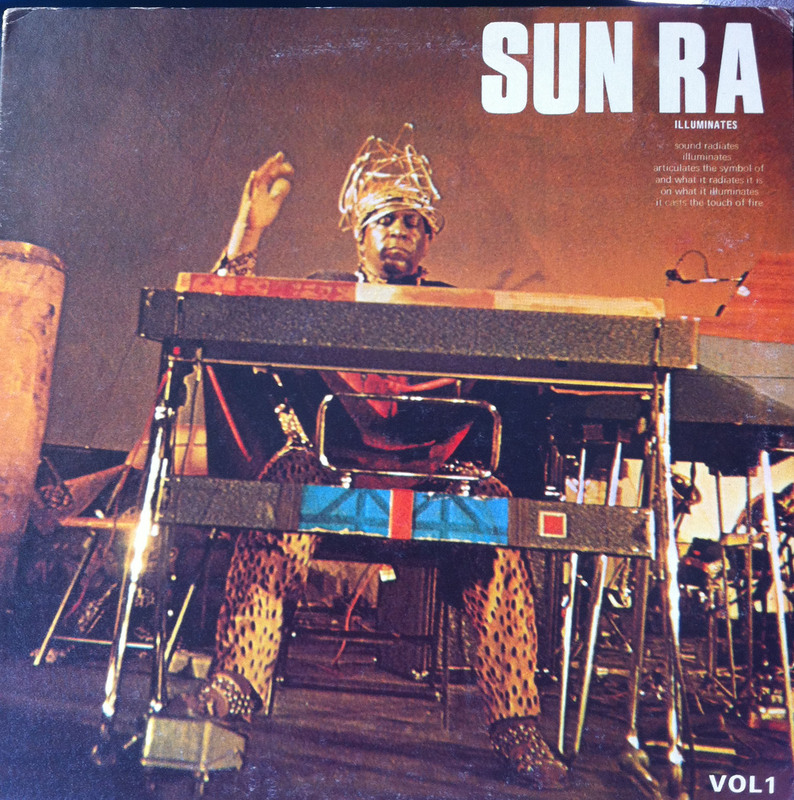 According to Michael D. Anderson, longtime Sun Ra associate and executive director of the Sun Ra Music Archive (http://sunraarchive.webstarts.com) confirms that the recording was made in Philadelphia on November 2, 1969, but it was not commercially released until the mid-1970s (on the Space Probe LP). Some of the limited pressings (of 100 discs at a time) didnt even include printed record sleeves or labels, the title and label art being hand-drawn onto each disc individually by a member of the Sun Ra band or entourage. Space Probe was significant not only because it was one of Sun Ras earliest recordings with the prototype Minimoog , but it was one of the first commercial recordings made by anybody with a Minimoog. Moreover, Space Probe was preceded during the November recording date by another Minimoog solo piece, The Code of Interdependence, released in 1970 on the album My Brother the Wind. Both tracks were about 18 minutes long, lasting for an entire album side. Anderson confirms that Sun Ra did not use multitrack recording, so any hint of double-tracking (e.g., chords using the monophonic Minimoog) were probably a result of adding some other keyboard sounds in real-time (e.g. the Rocksichord). [iv] At some point, presumably in 1970, Sun Ra acquired a second Minimoog so that he could play two at once. Sun Ra performed and recorded frequently during 1970 and 1971 with the Minimoog. This was before Emerson, Lake, and Palmer and other progressive rock groups struck it big with the same, liberating sound. Ras use of the Minimoog in a free jazz context often resulted in long explorations touching on every sound made possible by the instrument. Listening to Sun Ra play the Minimoog during this period is like experiencing a master class of early synthesizer improvisation technique. The first commercially released recordings of Sun Ras Minimoog jazz began in 1970. Ive organized the following list in the order of their release dates. 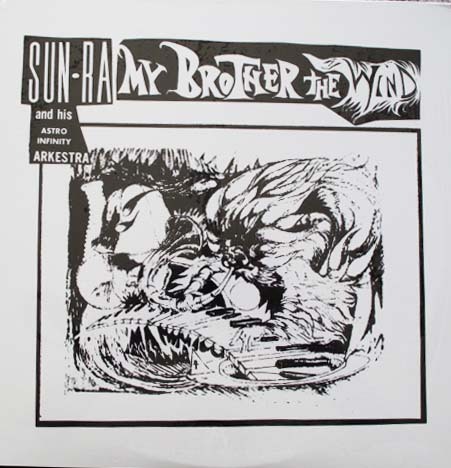 Sun Ra and his Astro Infinity Arkestra, My Brother the Wind; Saturn ESR 521 (1970). Includes the track The Code of Interdependence The album credits Sun Ra with playing two Minimoogs, but this may be inaccurate because this recording was made on November 2, 1969 (Philadelphia) when Sunny may have only had one Minimoog. This was the same recording session that resulted in Space Probe (see below). Sun Ra, The Night of the Purple Moon; Saturn LP 522 (1970). Sun Ra on Minimoog and Rocksichord. Sun Ra, Nuits de la Fondation Maeght, volumes 1 and 2. Shandar SR 10.001 and SR 10. 003. These recordings date from a live performance on August 5, 1970 at Saint Paul de Vence, France. The records were not released until 1971. The Cosmic Explorer (19:45) from Volume 1 is another lengthy Minimoog solo. The Minimoog is used on other tracks as well and illustrates the continued integration of Ras synthesizer playing into the organization and flow of the ensemble. Sun Ra, Space Probe; Saturn Sun Ra 14200A/B (1974). Sun Ra extended Minimoog solo. Recorded on November 2, 1969, Philadelphia. [ii] Tam Fiofori, Sun Ra: Myth, Music & Media, Glendora Review, African Quarterly on the Arts, vol. 3, No. 3 and 4. [iii] John Hinds, Robert Moog Conversation September, 9 1991. Sun Ra Research, October 2000, Issue 30, pp. 42-43. 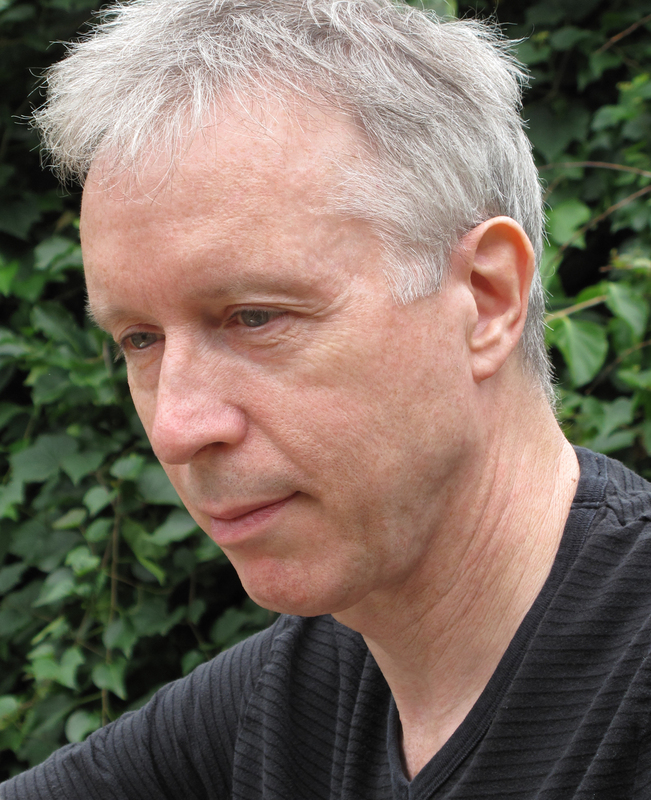 [iv] Conversation with Michael D. Anderson, October 9, 2013. Nice piece. Maybe this will lead to someone finally reissuing My Brother the Wind Vol. I. Excellent info! I’m just curious if the whereabouts of this Moog Model B are known. Excellent info! I’m just curious if the whereabouts of this Moog Model B are known? Wonderful to see such scholarship about such important music. Thank you.